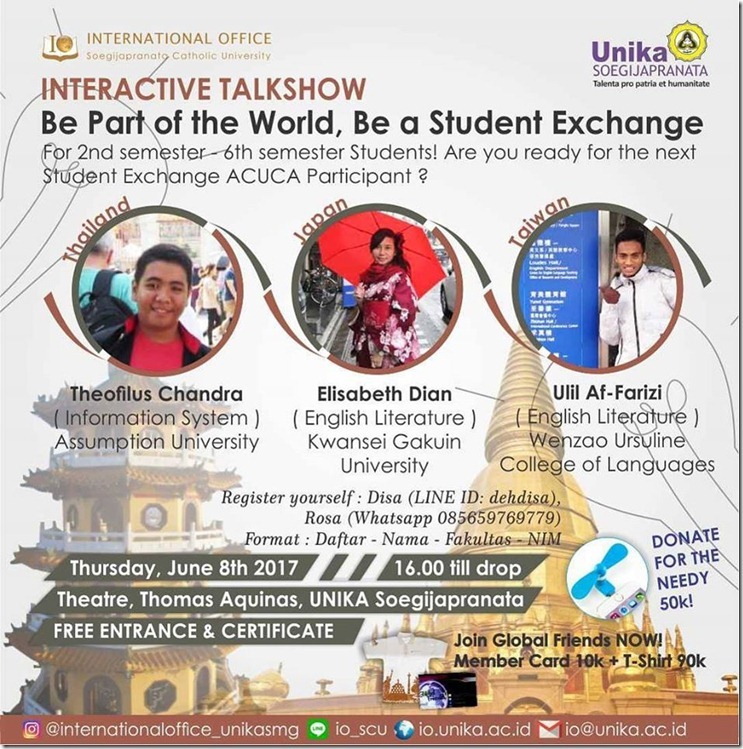 Do you know about International Office? Have you ever heard about Global Friends? Are you interest in Student Exchange? FREE ENTRANCE & FREE CERTIFICATE! COME AND JOIN!